Home / Freebies / Kids Eat Free at Chili’s Starting Today! 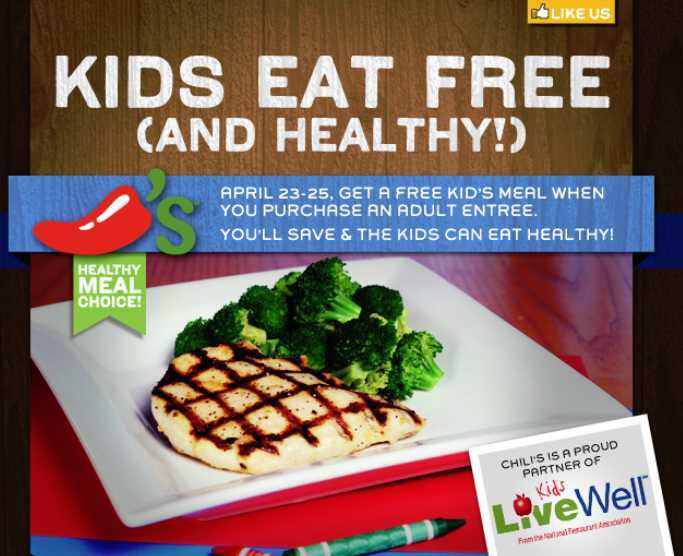 Kids Eat Free at Chili’s Starting Today! Starting Tonight Kids Eat Free at Chili’s Just purchase any Adult Entree and get up to 2 Free Kids Meals Per Adult Entree! This offer is valid from April 23rd – 25th. So Plan your Family Night Out and Head to Chili’s! Don’t forget to Print This Chili’s Coupon! 95 New Recyclebank Points Available Today!